Act as a liaison to family at a distance, making sure things are going well and alerting families to problems. Assist with moving an older person to or from a retirement complex, care home or nursing home. Offer counseling and support. Some GCMs also provide family or individual therapy, money management, and conservatorship or guardianship assistance. GCMs have extensive knowledge about the costs, quality and availability of services in their community. 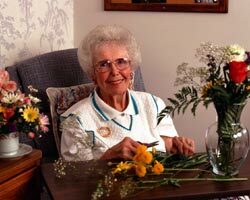 Our Geriatric Care Managers have a minimum of a Bachelor's Degree or substantial equivalent training in gerontology, social work, nursing, counseling or human services equivalent. Contact us today and let us help your family achieve peace of mind.